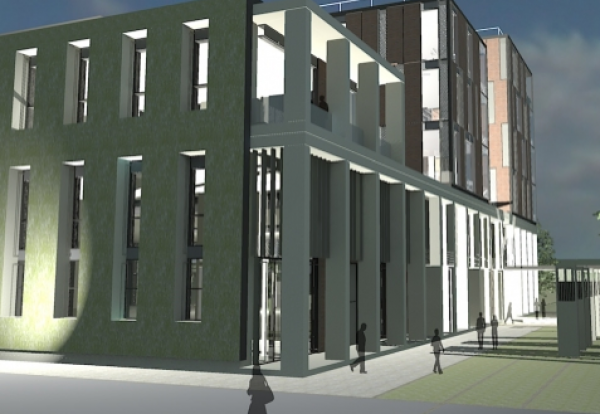 Leicester University has started the hunt for a contractor to build a new medical school. The university finally gained planning in May for a 130,000 sq ft teaching complex that is designed to Passivhaus standards. Under the present schedule, the building job is expected to get underway in September next year and open its doors for the 2015 academic year. The building is designed to provide teaching and lecture facilities including dry labs, academic office and research space for the College of Medicine, Biological Science and Psychology. The job includes a landscape scheme with provision of a sports pitch, car parking and highway improvements. Further information from web portal or Anthony Midgley (tel: 01162522058) at the University’s purchasing unit.